Map Icon Created with Sketch. Promo Created with Sketch. Facebook Created with Sketch. Instagram Created with Sketch. Twitter Created with Sketch. YouTube Created with Sketch. pinterest Created with Sketch. See All Arrow Created with Sketch. In any other context except the FDA’s flawed label rule, eggs are healthy. We are going to make the FDA reconsider their standards of “healthy” by bringing their ridiculous labeling criteria to the masses. SHARE Twitter Created with Sketch. np_email_663301_000000 Created with Sketch. Facebook Created with Sketch. pinterest Created with Sketch. Toaster pastries (Pop-Tarts), flavored gelatin (Jell-O) and fat-free chocolate pudding are all considered “healthy” products, while eggs are not. That seems like a ridiculous notion and we would agree. But, believe it or not, that is what the FDA says on the matter. Those products may use the claim “healthy” in reference to their products and Pete and Gerry’s Organic Eggs cannot, despite ample evidence to the contrary. I give a more detailed account of this issue and how it came to pass in a recent post Are Eggs Healthy? We are hopeful that with the advances in nutrition science and understanding (including recent dietary guidelines issued by the USDA and Department of Health that encourages egg consumption) the FDA will issue new guidance on eggs. That way, no one who might benefit from the health benefits of eggs will hesitate to eat them based solely on unfounded fears around dietary cholesterol. We fear that this may be deterring people from eating an inexpensive but extremely rich source of protein and essential nutrients. Therefore, with the help of Registered Dietician and founder of Nutritious Life, Keri Glassman, Pete and Gerry’s Organic Eggs is petitioning the FDA to amend the definition of “healthy” to allow it to be used with eggs. “It is long overdue that eggs be restored to their proper place in Americans’ diets. It’s one of the best sources of natural, nutrient-dense protein you can find, to say nothing of its convenience and flexibility as a food.” states Keri. Unhealthy eating and obesity are national epidemics. Over the past few years, there has been a tidal wave of consumers waking up to this fact and educating themselves about food. The result has been a move away from processed, artificial foods in favor of simple, whole foods such as vegetables, fruits, whole grains, and natural proteins – like eggs. We believe that by pushing the FDA on this out-of-date definition, we can help drive this healthy eating trend forward. And you can help! 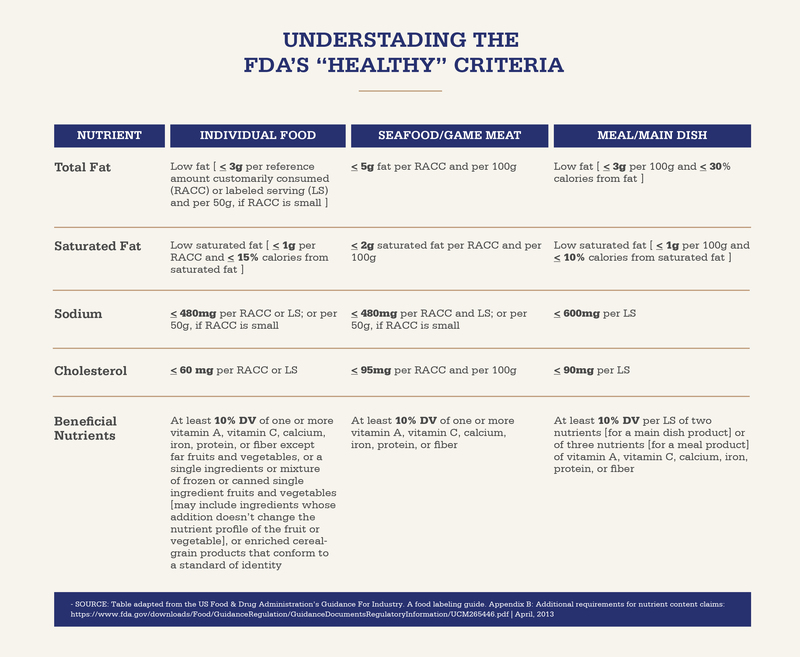 You can read our full 17-page petition to the FDA to review and change their outdated criteria. The Wall Street Journal: The Great Egg Debate: Are They Healthy or Not? Reply Page 1 Created with Sketch. Your kind words warm our hearts, Stephen, and we thank you so much for supporting our small family farms! I'm an old, healthy 70 yr old woman, and I'm quite sure my health is mostly due to having ignored what any "government agency" recommends I should eat....like "fake butter", "fake milk", "fake eggs". It's no wonder that we now have at least one generation of young, over-weight, unhealthy kids. Oh well, that will probably save the same gov't a ton of money in Social Security that they can continue "diverting" for rich political sponsors. I whole-heartedly support folks like Pete and Gerry who are carrying on with providing Americans with TRULY healthy food. Thank you so much for your whole-hearted support, Elizabeth. We couldn't agree more with you - there's a lot of misinformation related to food and nutrition out there, and the fact that a lot of it comes from the FDA, which should be a resource that we can trust, is quite troubling. As we hear from more and more folks like you, we're confident that change is coming sooner rather than later. I agree that eggs are healthy and i am dismayed at what is considered healthy by the FDA. Good luck in your endeavors to change a misdirected standard and agency. Thank you for the kind words of support, Dale. We couldn't do it without folks like you! The FDA is owned and operated by big business the same as the rest of our government. Unfortunately, the bottom line of the large corporations is their focus. Eggs are healthy! FDA needs to change it's labeling criteria for "healthy". Few foods are as simple, natural and nutrient rich as eggs. Protein, iron, calcium, potassium, zero sugar and zero trans fat, zero processed fat...one of the purest foods that humans can consume. Organic and free range on top of that makes Pete and Gerry's eggs not only good for the human body but also environmentally responsible. We support Pete and Gerry! Label eggs as healthy. The FDA's "healthy" list is ridiculous. We support Pete and Gerry! Eggs have been a mainstay of our diet for hundreds of years, and no one had cholesterol problems. 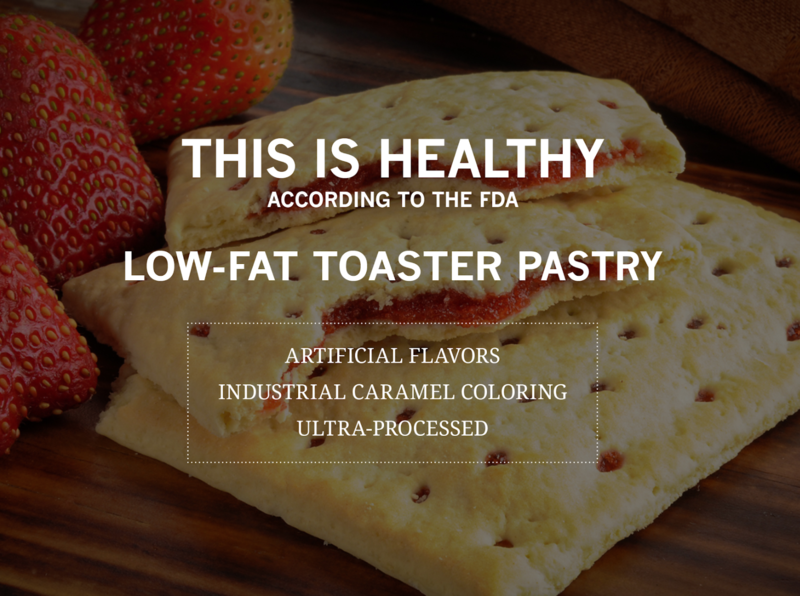 Now however, thanks to the FDAs "Healthy Food List" with poptarts, cereal, and dye-filled gelatin, we have a health problem. How many kickbacks are the FDA getting to set these guidelines? In addition to eggs being healthy, we choose Pete & Gerry's because they are also Certified Humane. We support you! Thank you from the bottom of our hears, Paula! It's consumers like you who help incite change, so keep using your voice for good. I totally support Pete and Gerry on this effort. I do not know why anybody would declare chemical-filled chocolate pudding and pop-tart-like foods as healthier than eggs! That’s just nutty and possibly some corruption going on with the marketing of those listed so-called healthy chemical-laden foods. Thank you so much for seeing past the FDA's misinformed labeling guidelines, Char. And thank you for using your voice as a consumer to incite positive change! I support Pete and Gerry's petition to be able to label eggs as healthy asap!! Your support means a lot to us, Wendy. We want to give consumers more of a voice in this industry, and that starts with you - so thank you for joining the conversation! Eggs from pasture raised chickens are a perfect food. Egg yolk contains virtually every single nutrient the human body needs. Egg yolks are a perfect food for babies. Pasture eggs contain a correct ratio of omega 3 and omega 6, unlike caged factory eggs. Pasture raised eggs are incredibly beneficial for the brain, especially in babies and children. Eggs promote blood sugar balance, helping an individual stay full and alert. I can’t think of a more nutritious breakfast than one including pasture eggs. It’s a shame that our FDA enforces and recommends politically correct nutrition ( nutritional advice meant to support the economy, which is based on pharmaceutical drugs, genetically modified crops, and chemical laden, refined oils and high carb foods ). We need to recognize that chronic illness and disease related to diet was incredibly rare and virtually non existent before the 1920s ( the decade in which our government began telling us how to eat ). As soon as they began telling us how to eat, heart disease, diabetes, cancer, etc all began to increase. Since then, especially since the “ low fat” fad began several decades ago ( demonizing eggs, butter, and other healthy pasture raised animal products) , it is getting only worse. It is best to ignore the majority of dietary advice from our FDA and all other bureaucratic parties and associations. They make money from our sickness which they passively cause with thier detrimental advice. Eat the way we ate before they started telling us how to eat! As a holistic health counselor who understands how a person should eat in order to prevent and reverse illness, I can confidently say that their advise gaurantees illness to develop sooner or later, fueling our pharmaceutically based economy. Use common sense is all! In good health. Jennifer B. Kudos to you! I've been buying your eggs for a long time until I moved to Texas and down the street from a lady who raises her own grass fed, home grown chickens and ducks (who are not fed corn or soy). (Sorry!) But I still recommend your eggs to those people who do not have access to this "farm". And they buy them. I commend you and support you in your efforts. Unfortunately, I remember a saying growing up, "You can't fight City Hall". The FDA is about money and they get paid the big bucks by corporations and therefore are allowed to put the word "healthy" on their "most unhealthy" products. Are they healthy? Heck no! Are eggs healthy? YES!! I'm glad to see you went to he news with this. Go to Fox.news....they are great and will run with it. All of this bologna needs to go to Trump (healthy eggs, no GMOs, organics, raw milk, grass fed beef, etc.) and he needs to change our whole system. But Big Pharma will fight him too. Sad. No wonder our country is in such a poor state of health. Anything that I can do, please let me know. I support you and your efforts! I love egg's and eat them at least 4 to 5 times a week. With a balanced diet of fruits, veggies and lots of nuts, grains and seeds, the amount of cholesterol (which our bodies need to!) is irrelevant to my overall health (and I am SUPER healthy!) We have always LOVED Pete and Gerry's eggs and were/are willing to pay for a quality product. That being said, we are conflicted about buying the eggs now as they come in a plastic carton. We're on a mission to reduce the amount of single use plastic we have to dispose of and with so many other companies using cardboard egg cartons, we don't know what's the right thing to do! Can you please switch over to a paper based carton? Thank you for this great comment, Jennifer. We really appreciate your willingness to pay more for a higher quality product backed by a commitment to humane treatment, and we understand your hesitation when it comes to plastic, given its bad reputation. We have a great post here on our website that explains the decision behind our cartons: https://www.peteandgerrys.com/blog/paper-or-plastic. Please let us know what you think! Hi I love your eggs, just understand the FDA has no teeth. They are a scam they are not protecting people any longer president Trump put into effect for every new regulation two old ones will be removed. They grandfather and I think it's called the 501 trials or if a device similar to the device that is now being used has been tested which it never has been there's no human trials we will allow it to be used in humans. I love your eggs I love the color of the yolks I eat them daily. I have the healthiest cholesterol you can only imagine that my HDL which is the happy one is 98%. When my doctor asks me why I have such good cholesterol I tell him I eat eggs everyday organic humanely raised eggs sorry this is so long. Thank you for providing an unadulterated nutritious food to your fellow Americans. Our voices are heard by how our dollars are spent. Thanks for being part of this fight for positive change, Tiffany. Throw an egg on anything to make it a meal! Up the nutrient count, make it creamy and tasty without fats or dairy, and get some good healthy protein to keep you filled up! Go, eggs go! Fight obesity, eliminate hunger, minimize meat consumption, eats eggs!!! I was raised on a farm and ate FRESH eggs almost every day. I've never heard of anyone kicking off from too many eggs until I moved off the farm and into the city. And I'm sorry I ever did! Fresh (unprocessed), organic, non GMO, free range (when appropriate), and with no additives should be required "ingredients" for all foods FDA determines healthy. Foods containing additives for preservation, etc. should contain health warnings. Well said. Unfortunately, as long as the FDA gets paid off by these mega corporations and Big Pharma, nothing will change. Sad (the Standard American Diet), so sad. Yes FDA not doing their job. Hi Anne, great points here. It's time for the FDA to push for more transparency in all food labeling. Thanks for joining the conversation! So glad you agree, Susan! Here is a simple way to help determine if a food is healthy....if it is found in nature (animal or plant) then it is likely healthy. If it is not, then it is not healthy. Eating whole foods and avoiding processed foods isn't as hard as you would think. Sugar and salt are found in nature.....but, they are so overly processed including heated to high temperatures that they lose their healthy properties. Go natural, go organic, go non-GMO, eliminate added sugar and salt. You will lose weight, have more energy, sleep better, and feel better overall. I've recently done this and I feel the best I've felt in 10 years!!!! Jason, you're right on the money. How can natural foods like eggs, avocado, and salmon be unhealthy while toaster pastries, canned soup, and pudding is considered good for us? Like you, we believe that natural, unprocessed foods are better for our bodies, and it's time to help the FDA see that! I do believe in their heart of hearts the people at the FDA knows this. But as long as their pockets are being lined by these huge corporations and Big Pharma, there is no incentive to change. They also endorse GMOs and Roundup and chemicals and preservatives and sugar and artificial this and that. Money talks I guess. Eggs are so good for us and our pets. But not the caged eggs that are fed soy and corn and crap...your eggs, range free, grass fed, organic, good tasting, healthy! My gauge as to whether something is healthy or not is: Did God create it? Yes = Healthy No = not so much. Eggs = Healthy! Vegetables = healthy, etc. Anything that man manufactures is generally unhealthy because they have been modified from what worked for years. Sugar = poison, and they put it in everything just to keep us addicted. These are fantastic questions, Gail! Some folks prefer to use natural sweeteners like agave nectar in place of white sugar, but everyone has their own dietary needs and preferences, so it's all about finding substitutions that work for you. For those who are watching their salt intake, it can be helpful to switch our salt for salt-free seasonings, dried herbs, and spices. This is a great way to add flavor to a dish without upping the sodium content. To answer your last question, non GMO means that no genetically modified organisms were used to produce that food. Non GMO eggs, for example, are eggs laid by hens whose feed is free of genetically modified ingredients. We hope this helps! The whole US food pyramid is wrong. Eggs are one of the healthiest foods you can find. We agree, Shauna. The food pyramid definitely seems outdated and in desperate need of some reassembly. We hope that petitions like ours along with the voiced concerns of consumers like you will prompt the FDA (and even the USDA) to begin rethinking some of the misinformed information that they're putting out there. Thanks for chiming in, Cee! It sounds like we're almost on the same page, but we do want to point out that this Harvard article you've referenced notes that eggs can be a healthy addition to any diet (even those with a history of high cholesterol levels). In fact, in this day and age where consumers are becoming increasingly aware of how food affects health, we're starting to see some healthier egg preparations being popularized across many platforms. We're lucky to have passionate fans that tag us in their Instagram photos, which often depict some really creative and healthy options for preparing eggs. Beyond that, we have many recipes here on our website which prove just how versatile eggs truly are. We urge the FDA to rethink its guidelines and to stop promoting sugary, ultra-processed foods while vilifying the ones that are truly healthy. Thank you so much for sharing this source, Lisa! We love that Harvard takes into account the differences between egg carton labels, noting that the welfare of the hens is an important factor. Head's up, FDA....eggs are egg-cellent! Bad foods now good eggs Out with the old: Egg yolks are high in cholesterol, which means eating them will raise your cholesterol levels, putting you at risk for heart disease. In with the new: New research has found that cholesterol levels in our bodies are impacted by the types of fats in our food, not as much from the dietary cholesterol content. When it comes to eggs, it seems we've been given scrambled messages. Many of us opt for egg whites over whole eggs because word on the street is that the yellow contains too much cholesterol and raises the risk of heart disease, which scientists now know isn't really the case. In fact, eating the whole egg can help keep you slim. The yolk contains a nutrient called choline that boosts metabolism and turns off belly fat genes. Not to mention, yolks contain nutrients that may help lower the risk of heart disease, including protein, vitamins B12 and D, folate and riboflavin. You did your homework! Nice information! Luv pastured eggs! I eat them almost everyday with butter, ezekiel bread and avocado. YUM! I'm healthy and thin. Praise Jesus! Cheers to a healthy life filled with good food, Leah! We love that you've been able to find a diet full of healthy whole foods like eggs and avocados that works for you. My favorite healthy brEGGfast is an egg fried in butter with onions and peppers in my cast iron skillet. My HDL/LDL numbers are right where they should be. Hi Mary! We LOVE to hear stories like yours. That sounds like a splendid way to start breakfast and oh, so perfect over the cast iron skillet. I eat eggs everyday it’s protein,VitD,&other important vitamins! Oh my cholesterol is good! I’m 65! That's awesome, Kathi! We can't tell you how much we love hearing how helpful eggs have been for so many folks of all ages. For some, a consistent diet that includes eggs has actually helped LOWER blood cholesterol levels - that's a win-win! It's sad that our government is so tied to big industry. Our obesity rates are sadly high because of the diet the government and industry has pushed. Thanks for increasing awareness. Hi Alison, Great points there. 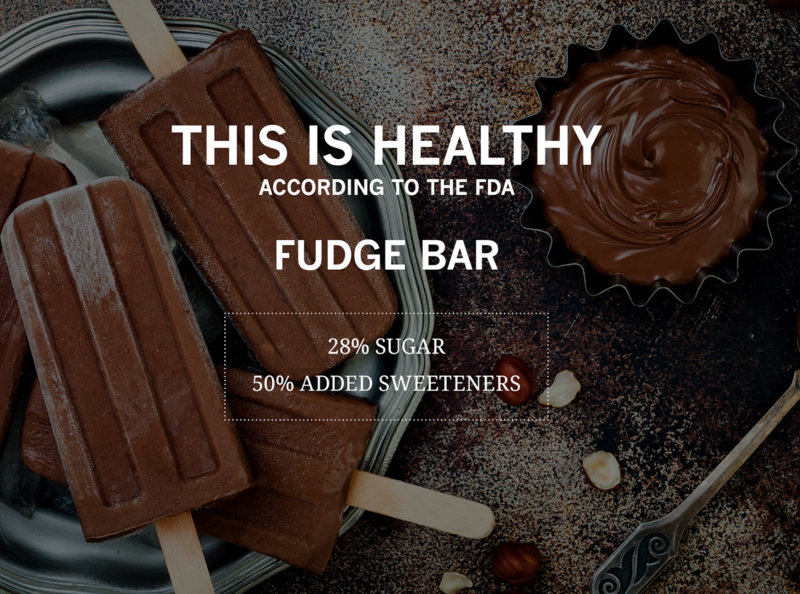 We agree that the FDA has outdated standards for what counts as "healthy." We think change is needed in many areas and with the support of many consumers, we hope to make a positive impact when it comes to these issues. The FDA is looking for kickbacks and payoffs, the FDA is a dirty & corrupt government organization. The FDA is stupid - time to defund it! I'm a holistic health care practitioner and have heard the half-story about eggs for decades. Yes, egg yolks contain cholesterol. But what isn't exposed in the propaganda is that the white contains lecithin which emulsifies and breaks down cholesterol. Eggs from hens allowed to roam and peck on wholesome food as nature intended are a perfect food. The following quote from https://alive.com explains it well. This is another case of ~ a little information is dangerous ~. "Eggs have been condemned, their high lecithin and methionine content ignored, yet lecithin is an essential part of our diet. It emulsifies fat, breaking it down to smaller fat droplets. This action speeds up and improves the digestion of fats by enzymes because the surface area is increased. Lecithin aids liver function, keeps the arterial lining free from cholesterol and prevents kidney and gallstones from forming. Methionine is also essential in the formation of nucleic acid of the genetic material of every cell. It’s a powerful antioxidant, assists in gall-bladder function and detoxifies heavy metals and excess histamine levels from the body." These are some really fantastic points, Brenda. Thank you so much for sharing this quote as well - we couldn't have said it better! By swallowing whole eggs once a day healthy?. If a person has ever stayed in a hospital for a prolonged time, they give you eggs and a couple strips of bacon or sausage links for breakfast...not highly processed pop tarts. I received pats of real butter, not margarine that is another "not healthy" food item, I declined the fake stuff and asked for fresh fruit when available. I asked the dietitian to order "real stuff". I didn't want the low-calorie salad dressing because it was full of excessive salt, sugar and chemicals to make it palatable. I got real whole milk or 2 oz. of 1/2 and 1/2 with my morning coffee. As far as I'm concerned, if it comes in a box, bag, bottle, can or with a list of ingredients I can't easily pronounce, it's not going into my shopping cart. Bacon & sausage are healthy??? Well said, Virginia. Thanks for joining the conversation! Is the ketchup in school lunches still a "vegetable", or did that wall already get torn down, too? Healthy policy crafted under a cabinet that ran on jelly beans, drug trafficking, and arms dealing is not healthy. Take me home, Nancy. The US GOVERNMENT IS CURUPT TO THE CORE AND ACTIVELY WORKS AGAINST THE INTERESTS OF THE AMERICAN PEOPLE. If chicken is a healthy food, why would not eggs be? Egg farmers clearly aren’t paying the FDA gangsters and criminals enough money to call eggs healthy. Big Sugar has this “play for pay” stuff down to a science. The FDA is not our friend. I heard that raw eggs in a cup of milk is good for you; Is this true? I would think absolutely. Hi Christina, that's a great question! We can't recommend that you eat our eggs raw, since they're unpasteurized. That being said, some folks find that adding raw eggs to a smoothie or a cup of milk is a good way to get a quick boost of protein in the morning! Dearest FDA committee, Please consider updating for usage of this simple term. Thank you. Eggs are healthy, plain and simple. Do they have cholesterol? Yup. However, there have been ample studies conducted that prove beyond question that the cholesterol in eggs isn’t the boogie monster we’ve been lead to believe. Eggs are a low calorie, low fat, high protein, affordable, portable food. Eat up in good health! You hit the nail on the head, John! Thank you for helping to debunk the cholesterol myth. Of course you will say they’re healthy because that’s your business! And you pay so much $$$ to be on top of google searches, smfh!!! Hi there, thank you for joining the conversation! When we decided to put forth this petition, our primary goal was (and still is) to inform consumers and help debunk the myths that are being upheld by the FDA's labeling guidelines. Even those who choose not to consume eggs are being misled by these very practices, so this issue affects all of us: according to the FDA’s regulations on labeling, certain sugar-packed foods, such as toaster pastries and pudding cups, are permitted to market themselves as “healthy,” but foods that are widely known to be nutritious, such as eggs, salmon and avocados, are not. While it's true that we've chosen to speak specifically on eggs, it's our hope that this petition will help bring regulations in line with reality and advocate for meaningful change on behalf of ALL consumers. Let us know what you think! I know it's kinda dumb that the FDA considers TV dinners "healthy" and stuff like eggs and fish and avacodos "unhealthy"
Facebook-black Created with Sketch. Instagram-white Created with Sketch. Twitter-black Created with Sketch. YouTube Created with Sketch. pinterest Created with Sketch.